Before I start on this week's reviews, I do want to follow up on how I did with my Oscar Nomination Predictions from last Tuesday. Nominations were announced yesterday and I did pretty well with my predictions, though there were some surprises. Other than Cate Blanchett's performance, "Carol" was shut out from Best Picture and Best Director, which was quite shocking considering Director Todd Haynes and the film were nominated for Golden Globes and his 2003 movie "Far From Heaven" was nominated for four Oscars and won one. I called the Best Actor category. For Best Actress, Charlotte Rampling was chosen instead of Alicia Vikander in that category and Helen Mirren was shut out for Best supporting actress in favor of Rachel McAdams for "Spotlight," which is a crime. Vikander was nominated in the Best Supporting Actress category which is silly because her role was a lead role. Christian Bale got the nom for Best Supporting Actor instead of Idris Elba, making this the "whitest" Academy Award year as predicted. Since there were only 8 Best Picture nominations, I got those all right but somehow left off "The Martian," which I didn't mean to do - must have been subconscious since I didn't really like it. And I missed two out of the 5 Best Directors. Lenny Abramson for "Room" was a surprise, especially since Ridley Scott was shut out for "The Martian." So as I said, there are always some surprises despite what happens at the Golden Globes. Now on to The Week in Reviews! In 1950's New York City, a young aspiring photographer falls for an older woman. Ah, the 1950's, when men and women wore hats, smoked anywhere they liked and had creamed spinach, poached eggs and a martini for lunch. Women wore gloves and, unashamedly, mink coats. There were tea dances and everyone minded their manners. We look back at the 1950's with nostalgia as a simpler time when our children could play safely out of our sight, women could go out alone at night and everyone was doing what they were supposed to do. Problems were few and if there were any, heaven forbid, you didn't talk about them. But, of course, now we know that was key. Just because we didn't talk about problems, it didn't mean there weren't any. Of course, there was divorce in the 1950's and child abductions and murders and rapes and, homosexuality, but we didn't talk about all of that like we do today on social media. Today, nothing is a secret, but in the buttoned-up 1950's, there were many secrets behind the prim and proper facade. Director Todd Haynes is a master at capturing the look and feel of period pieces, especially the 1950's, and the secrets, repressed sexuality and forbidden love that was simmering below the surface in lush films that themselves hark back to the lush melodramas of Douglas Sirk ("Imitation of Life," "Magnificent Obsession"). Here Haynes directs an adaptation of Patricia Highsmith's novel "The Price of Salt," a classic in LGBT literature (adapted for the screen by Phyllis Nagy). Like his "Far from Heaven (which was nominated for several Academy Awards in 2003), this is a story about forbidden love set in the 1950's, though this time instead of interracial love, it is love between two women. Carol Aird (Cate Blanchett) is a socialite in the midst of a divorce from her wealthy husband, Harge (Kyle Chandler). While in a department store looking for a gift for her five-year-old daughter, Carol meets Therese (pronounced "Teress") Belivet (Rooney Mara), a salesgirl at the store. Therese is struck by Carol's style and beauty. Carol accidentally leaves her gloves on the counter, and when Therese mails them back to her, Carol calls her and asks her to lunch to thank her. As the film unfolds, we learn that Carol's husband does not want a divorce and that he suspects Carol's preference for women. Likewise, Therese, though engaged to Richard (Jake Lacy), is struggling with her confusion about her sexuality. Carol's husband informs her he is going to take her daughter away from her if she doesn't come back to him, so Carol and Therese leave it all behind and embark on a road trip together, not realizing how they will have to pay for this bit of rebellion. In the 1950's, you always had to pay for breaching the social mores. Blanchett is wonderful in this film. She doesn't exhibit any of her sometimes over the top, Joan Crawford-like mannerisms. She is luminous and sympathetic. Likewise, Mara is channeling a young Audrey Hepburn, eyebrows and all. The two are believable lovers. 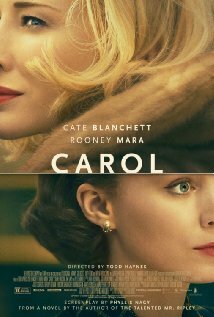 There is irony in the title of this film because the movie is more about Therese and her coming to grips with her lesbianism than it is about Carol herself, who though closeted, has already accepted her sexual preference. Though beautifully photographed by Edward Lachman (nominated this year for an Oscar), who also worked with Haynes on "Far from Heaven," with art direction by Jesse Rosenthall, set design by Heather Loeffler and costumes by Academy Award Costumer Designer Sandy Powell (who is also nominated for an Oscar this year), this film is not as beautiful and dreamy as "Heaven." And though an engrossing, important story, well acted by Blanchett and Mara, it also is somehow, not as compelling. Rosy the Reviewer says...See it to be transported back to another time and for two great performances. Libby Day's mother and sisters were murdered in their Kansas farmhouse when she was eight and she was the only witness. She said her brother did it. But did he? It's 30 years later and Libby (Charlize Theron) is not doing very well. She doesn't have a job and has been living off of donations from sympathetic strangers that came in starting when she was an eight-year-old orphan. Her brother, Ben (Corey Stoll), is in jail for killing her family. Libby is now a tough woman with no prospects. She gets a letter from Lyle Wirth (Nicholas Hoult), asking her to make a public appearance at a club he belongs to - "The Kill Club." The club is a bunch of people who like true crimes and mysteries and they are obsessed with the murder of her family. She doesn't want to do it but needs the money and negotiates a $700 fee to go to the meeting and let the club members "pick her brain" about the crime. As Libby prepares for this meeting, in a series of flashbacks, her mind shifts back and forth between events leading up to the murders, trying to remember what she has tried to forget. When Libby arrives at the meeting, it becomes apparent that the members do not think her brother, Ben, killed her mother and sisters. So they have really lured Libby to the meeting so she will recant her testimony that fingered Ben. They are passionate that Ben is innocent and as the window for appeals is soon going to close, they want Libby to help them free Ben. Now Libby is haunted even more by the events of that night and as she forces herself to go back to that place, she begins to question herself, and what really happened that night begins to reveal itself. The family lived a hardscrabble life on the family farm, and Libby's mother (Christina Hendricks) was about to lose the farm. This figures later in one of the most bizarre plot twists ever. As a teen, Ben had a goth look and hung around with unsavory types, so naturally, it being the 80's when young, disaffected youth with piercings and Doc Martens were suspected of worshiping the devil, Ben was arrested. (There is a parallel here with the documentary "Paradise Lost," about the three innocent young men convicted of killing some young boy scouts mostly because they were town outcasts who looked goth and were perceived as being devil worshipers). Ben's girlfriend, Diondra (Chloe Grace Moretz) is a rich girl with a dark side. There is an unsettling scene where she and her brother, Trey, get Ben to help them kill a bunch of cows in some kind of drug-induced frenzy. Based on the novel by Gillian Flynn, whose "Gone Girl" was such a hit, this plays like a gothic melodrama - but a good one, despite many red herrings and some implausible plot twists, but hey, life can be like that. 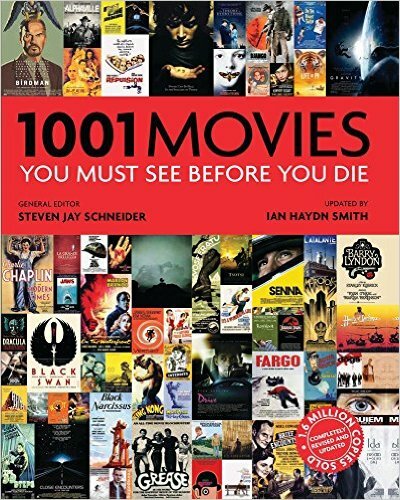 Directed by Gilles Paquet-Brenner (he also adapted the screenplay), it's like a Dateline version of "In Cold Blood," and I love Dateline mysteries and I loved "In Cold Blood." On the negative side, there is a far-fetched, bizarre conclusion to the mystery, but despite that, the film does draw you in and you really want to find out what happened that night. It's strange that this film got buried with all of the star power in it and with a book by Gillian Flynn. Charlize, though the star, doesn't really have that much to do except act tough and try to look plain with no make-up, but with those cheek bones, she still looks like a beautiful actress trying not to look beautiful. Rosy the Reviewer says...it's not "Gone Girl, but if you like "Dateline," you will enjoy this. 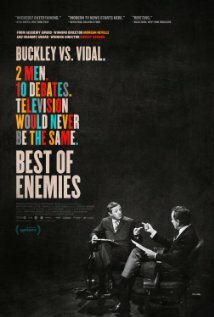 A documentary about the series of debates between arch conservative William F. Buckley Jr. and very liberal Gore Vidal during the 1968 Presidential Conventions. We had confidence in TV news in the 1960's - remember Huntley and Brinkley and Walter Cronkite? People gathered in front of their TVs together to get the latest news from these trusted newscasters. Also remember when there were only three networks? In 1968 ABC was relatively new and was considered the 3rd station after CBS and NBC. In those days, TV covered the Democratic and Republican Presidential Conventions 24/7, and ABC needed something to compete, so they got this "brilliant" idea to pair Buckley and Vidal together in a series of debates during the conventions. Debates is using the word loosely. In actuality, they were more like a series of insults and one upmanships. And it changed television news forever. The two were as opposite politically as you could get - and already hated each other. William F. Buckley was a well-known conservative who had started the "National Review," hosted the TV show "Firing Line" and was also was a fixture on late night talk shows. Likewise, Vidal was a best-selling author (his "Myra Breckinridge" had just been published) and outspoken liberal with ties to Jackie Kennedy. They were both bluebloods with no compunction whatsoever about insulting each other personally. So as they "debated," the argument became more about who was the better person, not politics, culminating in Vidal calling Buckley a "crypto-Nazi" and Buckley hurling a gay epithet and threatening to punch Vidal in the face. Great TV! It is also not lost on the viewer of this documentary that the reason people watched these two "debate," was not necessarily for anything newsworthy, but because it was so showbiz. More than discussing real issues, they insulted each other and called each other names, their rage simmering below the surface. Not too different from the talking heads we see every day on Fox News. It is fascinating and hilarious to see these two go at it and what the issues of the day were. Sadly, not much different from today. When Vidal said that 5% of the people had the most wealth and 5% were in the lowest bracket, it is upsetting to think that it is WORSE today! Buckley represented someone who wanted to hang on to the wealthy social order; Vidal, though wealthy himself, was a socialist, and they were both intellectuals. Despite the insults, television rarely has these kinds of programs where intellectuals sit around and talk. I miss that. Directed by Robert Gordon and Morgan Neville, who gave us the Academy Award-winning documentary "20 Feet From Stardom," the film employs voice-overs from Kelsey Grammer and John Lithgow as Buckley and Vidal respectively who read from their writings to give some perspective on how they later felt about the debates. Rosy the Reviewer says...a funny but sad harbinger of what was to come regarding TV news and a reminder that we don't talk the same language anymore (and this should have been nominated for a Best Documentary Oscar, but sadly was not). Billy Brown has just gotten out of jail but wants his parents to believe he has been away working for the government. On his way to visit his parents in Buffalo, he kidnaps a young girl and gets her to pretend to be his wife. Vincent Gallo wrote, directed and starred in this very indie black comedy about Billy Brown, a loser of a guy from Buffalo whose mother (Angelic Huston) is obsessed with the Buffalo Bills and whose Dad (Ben Gazzara) is a bit of a perv. The film starts out with a funny sequence with Billy getting out of jail and there is no one to pick him up. He waits and waits and finally has to go to the toilet so badly that he goes back to the prison to ask if he can use the restroom. Nope. Once you are out, you're out! A bus ride later and the toilet in the bus station is closed, no restaurant will let him use theirs and he eventually ends up in a dance studio where he meets Layla (Christina Ricci). I guess having to go to the toilet really bad can make you really mean. He kidnaps her and forces her to accompany him to his parents' house to pretend she is his wife and "make him look good." How he does this with no weapon was the first thing that made me question this film. Why had Billy been in jail? He had placed a $10,000 bet on the Buffalo Bills with money he didn't have. The bookie (Mickey Rourke) will forgive the loan if Billy will take a rap for someone else and serve his time in prison. He does that but when he gets out of prison Billy is determined to take revenge, not on the bookie, but on the Buffalo Bills' placekicker who lost the game! The film uses a series of split screens for flashbacks and to show the inner life of the characters, which was kind of interesting. And in addition to Gazzara, Rourke, and Huston, Rosanna Arquette, Jan Michael-Vincent also make appearances. Gallo called this his "masterpiece," which is kind of strange since his body of work isn't that vast or well-known. He also says the film was autobiographical and typified his awful family life growing up. 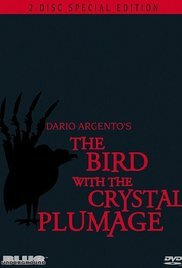 Why it's a Must See: "Wonderfully quirky stuff, this low-budget bizarre romance boasts suitably eccentric performances...Gallo, meanwhile, multitasks superbly (he even wrote the film's music and used his parents' Buffalo home as the main location), delivering an ironic look at relationships and disillusionment with a variety of visual styles and images." I think the operative words here are "quirky," "bizarre," "eccentric" and let me add "I didn't get it." It's one thing to be quirky, but it's another thing when none of the characters are sympathetic. Billy is morose and mean, his parents are awful and Layla is an idiot. What's to like? Rosy the Reviewer says...I could have missed this one. Healthy, easy-to-prepare, stress-free food from one of the Food Network's biggest stars. Thank goodness for cookbooks! 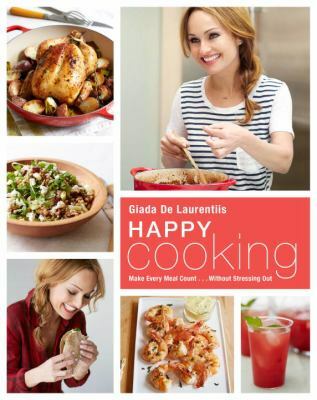 Reviewing a cookbook is also a way for me to not stress out about my blog, so thank you, Giada! I actually enjoy "reading" cookbooks and this one has not only recipes but all kinds of tips to make your cooking experience more enjoyable. But yet another cookbook by Giada? Isn't Giada rich enough by now? But this actually is quite a good one. Here she gives us 200 more recipes but along with the usual ideas for breakfast, lunch and dinner, she also adds some advice on hosting a pot luck, cool things to pack for lunch, a chapter on "eating clean," and some menus and recipes for special holidays. One of my favorites was her "Overnight Oats." No cooking involved, you just put all of the ingredients together the night before and wake up to some tasty oatmeal you can grab and go! Then when you get up the morning, throw in the berries or stone fruit and some chopped or slivered raw almonds. Yum! Other winners are her "Better Wedge Salad" where she substitutes radicchio and romaine for iceberg lettuce and smoked almonds for bacon (though since when can almonds take the place of bacon?) and her "Bottom of the Box" pasta. You know when recipes call for 12 ounces of pasta and most pasta comes in 16 ounce packages? Then you have all of these little bags of 4 ounces or less of pasta sitting in your pantry? Well, she says, just boil them all up together for a pasta dish with all kinds of little shapes. The kids will love it! There are also several vegetarian options like her "Slow Cooker Lentil, Kale, and Mushroom Soup" and her "Dairy-Free Risotto with Mushroom and Peas." As always, this cookbook is slick with wonderful pictures of the food (and Giada too, of course, with her big toothy smile)! Rosy the Reviewer says...a nice addition to your cookbook collection (or get it from your local library)! "How Self Aware Are You...Really?" Well "Carol" didn't seem like a movie I wanted to see and now I do. There is no way I can get thru all these movies! How do you do it? I have seen bits and pieces of the Buckley/Vidal story and definitely want to see this. I have a documentary recommendation for you. Just saw "Chuck Norris vs Communism" and thought immediately of you. The title threw me...not a Chuck Norris fan but it was on PBS so how bad could it be? It is about the power of movies and Romania during the 1980's. Think you can stream online. Yes, "Carol" is definitely worth seeing and thanks for the recommendation. I will look for it right now. I love documentaries. I think they are my favorite genre. Sazzy, having trouble finding Chuck Norris vs. Communism. It was on YouTube but YouTube has removed it for copyright issues. One person has put it up twice and just put it up today and just like that it was taken down. Netflix doesn't have it and I don't see it on Amazon so not sure how to find it. I looked for it On Demand from my PBS station but I don't think they have aired it. So will let you know what I think when and if I can find the film. But thanks again for the recommendation. oops. Just saw your comment but Susan came to the rescue with the proper link in an email. Here it is for your other readers...thanks Susan! Thanks, sazzy. 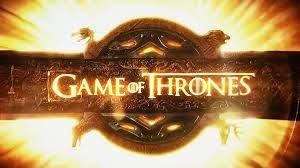 I will watch it this weekend. It's strange. The ones that were taken off of YouTube were all 90 minutes. Do you remember if what you saw was an hour or 90? It was just an hour. Maybe there was a longer version but the one I saw was short. FInally got around to watching Carol on Netflix yesterday. I enjoyed the "period-ness" of it all...the fashions, the cars, the mannerisms... But just couldn't shake the feeling that Carol was a bit of a sexual predator. It felt like she set her sights on Terese and that was that. But that aside, the story-telling and subtleties were engrossing and made me feel the pain that all of them (inluding the ex-girlfriend, the jilted fiancee and the confused husband) were all feeling. Just like with the movie Loving, movies like this remind us that we haven't always been so free, or so able to love whomever we want. It's taken lifetimes of suffering to get where we are today. And even now, my gay friends don't even know if their three marriages are even legal. It could all turn around tomorrow. Another reason to love for all you've got in the here and now. I liked the end of this movie and am glad that Carol and Terese decided that love was worth it. Susan, your comments are always very insightful.